FRANKFURT -- French and most Asian brands outstripped domestic rivals in sales growth in a German market up 12 percent in January. Registrations in Europe's biggest market increased to 269,429 last month, according to data from the country's Federal Motor Vehicle Authority, the KBA. Kia's sales rose most among volume brands at 41 percent leap, followed by Toyota with a 37 percent increase. Hyundai sales grew by 30 percent. Among French brands Peugeot sales jumped 34 percent and Citroen's volume was up 25 percent. Sibling PSA Group brand DS saw sales rise by 3.5 percent. Renault sales increased 24 percent with Dacia up 29 percent. German mass-market brands grew slower than the market. VW marque's registrations increased 9.7 percent while VW Group sister brands Spain-based Seat and Czech-based Skoda had a good month with Seat up 24 percent and Skoda gaining 17 percent. Ford's sales rose faster than the market at 16 percent. Opel's volume was flat at 0.4 percent. Fiat sales fell 11 percent. German luxury brands except Porsche had a relatively slow month. Porsche's volume was up 37 percent, Mercedes-Benz sales grew 8.4 percent and BMW brand's volume increased by 1.8 percent. 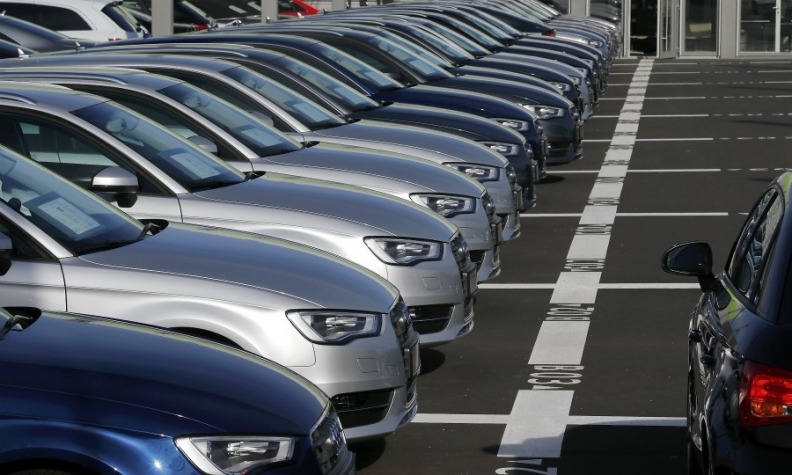 Audi sales fell 2.9 percent. • Download PDF, above right, for German sales by brand for January. German premium brands such as BMW are being hit by by slowing sales of diesels which make up a large part their new-car volume. Sales of diesel cars slipped 18 percent in January, giving diesels a market share of 33.3 percent. Gasoline sales rose 32 percent to a 61.8 percent share. Pressure is growing on Germany to tackle diesel pollution as cities including Munich and Stuttgart, where BMW and Daimler are based, could face penalties for allowing emissions levels to exceed European Union limits.